I’m feeling all bucolic at the moment. I think it’s spending more time on Lantau with the cows that’s doing it. I’ve always been slightly reticent to reveal my favourite “secret” places in Hong Kong in case more people decide to descend, but I’ve realised that very few civilians can be bothered to or have time to investigate the furthest reaches of our nobbly territory, so I’m going to start sharing, (albeit I’m still not going to give you my most favourite places for now, we’re going to start small). 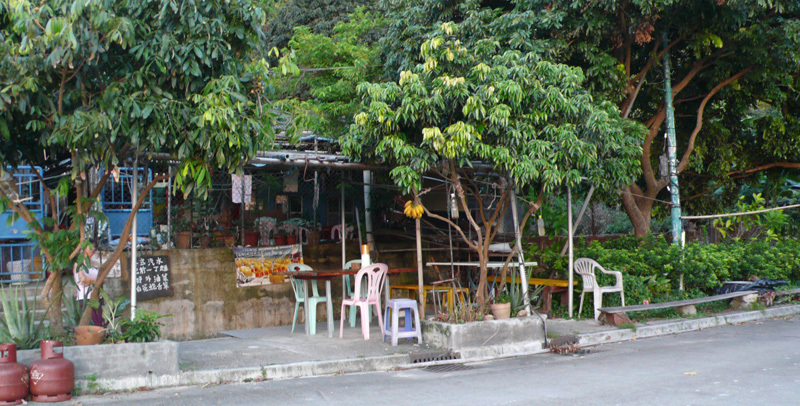 Tucked down in one of the most hidden corners of Lantau is Sham Shek Tsuen and Sham Wat Bay. If you ever walk between Tai O and Tung Chung (a highly recommended, easy walk around the coast, through some fantastic villages), then you will come to Sham Wat which is below the Big Buddha. There are a couple of little eateries, and the locals are just super lovely. 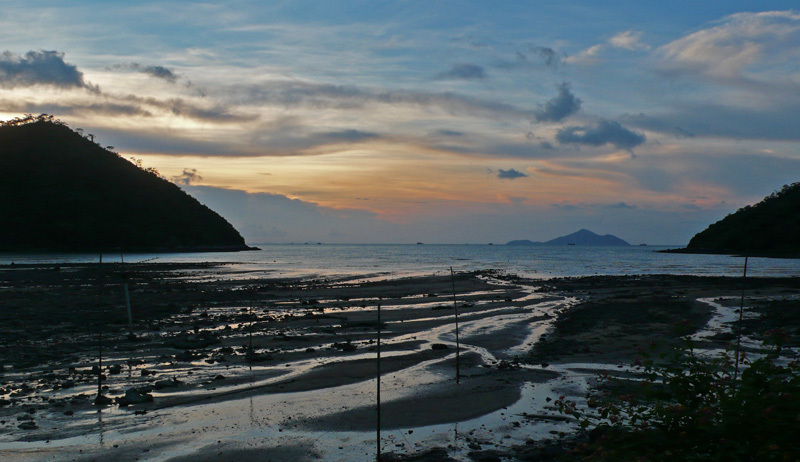 The muddy bay is chock full with oysters, mussels, cockles and crabs, and the village is known for its oyster omelettes and dried seaweed. A beautiful corner of Hong Kong, where you can sit with a can of beer, dangle your legs over the sea wall and watch the sun slip below the horizon into the sea and the locals harvesting their seafood. Chill-mc-chillin. The villagers insisted on giving us lots of fruit from their orchards. The best way to get there (as most of you don’t have a Lantau permit) is actually to do it as part of the walk to or from Tai O, or by bike if you’ve got legs of steel. But if you fancy a last beer after a day on the beaches of South Lantau then the only way to go is by taxi, and get ready for a pretty hairy ride up and down the Sham Wat Road. Call taxis on 2984 1328 or 2984 1268. Be persistent, taxis can be wildly difficult to get through to here.